Midgar records’ Ruhig, also known as Luigi Cicchella, brings you this week’s MNMT podcast. 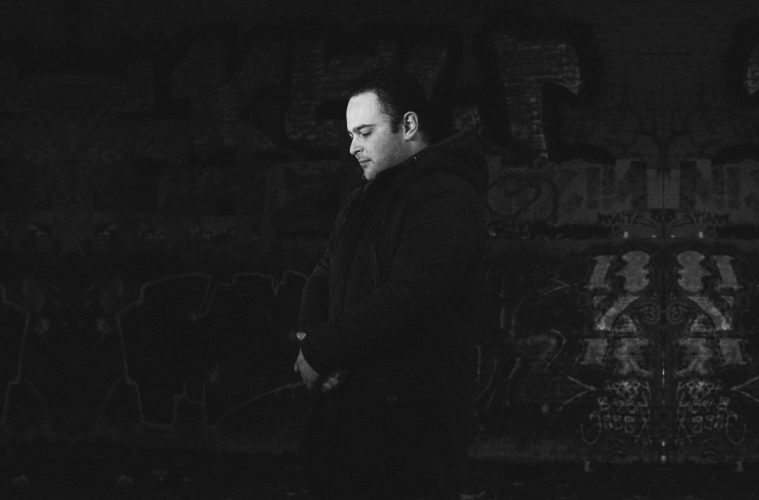 The Italian native is known for his exquisite style of mixing and producing, which tries to highlight the subtleties that lay within his music. Luigi’s musical background has deep roots in drum and bass, trip hop and ambient. These influences have shaped his peculiar approach to techno which enabled him to create the original sound that he has. Recently, Ruhig also started to release on other labels than Midgar Records, such as AWRY, where he released the EP ‘Lethargy‘ earlier this year. Together with Retina.it and PRG/M, Ruhig also takes part in the live collaboration act of r2π, who we will be seeing perform their first live in a club setting at Fuse in Brussels on November 17th. Please enjoy the 1-hour-mix he has prepared for us, showcasing a mix of mind-bending, hypnotic and uplifting grooves. 1. Hi Luigi, thank you for this interview and podcast. How are you doing? Hi there! Everything fine here, I recently moved for a job from my hometown in the South to Turin and I spent the last weeks settling down in the new environment. 2. What made you want to produce the deeper, more hypnotic techno as you have done in recent year? Was there a certain event or artist that inspired you to dive into this sound? It probably won’t come as a surprise saying that Voices From The Lake album on Prologue (and Prologue catalogue more in general) were my earliest push towards the production of a deeper sound. 3. You and Midgar records seem inseparable, could you tell me a bit about how you came into contact with the Midgar label boss; Jacopo and what led up to you having your first release on the label? We met through Luca (Synthek) during the time I was living in Berlin and co-running Natch Records with him. In the beginning Jacopo was taking care of the visual aspect of the label, helping us with the graphics and not only. We are really good friends! 4. Can you tell us a bit about your process of producing, do you use software or hardware mainly? And what do you often do to get inspired? The production/creation phase is mostly if not completely done with hardware like drum machines, synths an modulars, sometimes adding as well some special ‘instruments’ which I designed and built myself. Last phase of editing, postproduction and arrangement is done using softwares like Ableton and Logic Pro. 5. You have been collaborating with Retina.it and PRG/M as r2π, and on November 17th at Fuse in Brussels you will be performing a live together. Could you explain in layman’s terms how this collaboration functions, who is in charge of what? r2π liveset is mostly improvised live-jam and for this reason we keep the communication sharp and tight throughout the performance. Me and Lino (from Retina.it) usually are in charge of the drums, while Pier (PRG/M) is working on the Synth-lines and Nicola (from Retina.it) takes care of layering effects and the mixing. But there are no fixed roles, and it happens that we sometimes exchange place during the jam. 6. One of the tracks by you that made a profound impression on me was your track Particles on Midgar. Could you tell me what your inspiration and process was when making this track? Were you in a specific state of mind? Thank you for the attention on this track, its also a favourite of mine released on Midgar. To be honest I don’t know exactly how it came out, but I remember that my aim was to write a track with a complex time signature, and that I used a self-made instrument to create the pads which dramatic and epic atmospheres were heavily Detroit-techno inspired. 7. And as last question, what kind of podcast have you prepared for us? Did you have a certain focus before making this mix? The mix starts and stays broken beat for a while, as I prefer it for home-listening rather than club oriented DJ-sets. obviously things go deeper as you advance in the set. Really hope you will enjoy it!